This sitcom follows the story of Mike Henry (Michael J. Fox), one of New York’s most beloved news anchors. Five years ago, he put his career on hold to spend more time with his family and to focus on his health after being diagnosed with Parkinson’s disease. But now, with the kids growing up, Mike is growing restless. He thinks it might be time for him to go back to work. His former boss, Harris Green (Wendell Pierce), never wanted Mike to leave in the first place so he jumps at the chance to get him back on television. The trick — as per usual — is to make Mike think that it was his idea. After numerous failed attempts, Mike’s family (anxious to get him out of the house) finally succeeds in getting him to “run into” Green. If it works out, Mike will be back to juggling his career while trying to run the lives of his family — wife Annie (Betsy Brandt), college-dropout son Ian (Conor Romero), eye-rolling daughter Eve (Juliette Goglia), cute-as-a-button son Graham (Jack Gore), and Mike’s younger sister Leigh (Katie Finneran). Annie and Eve square off when Ian plans to move out. Harris plans to propose to Leigh but hits a snag. What do you think? Do you like the The Michael J Fox Show TV series? Do you think it should have been cancelled or renewed for a second season? The Michael J. Fox Show: Not Cancelled Yet? 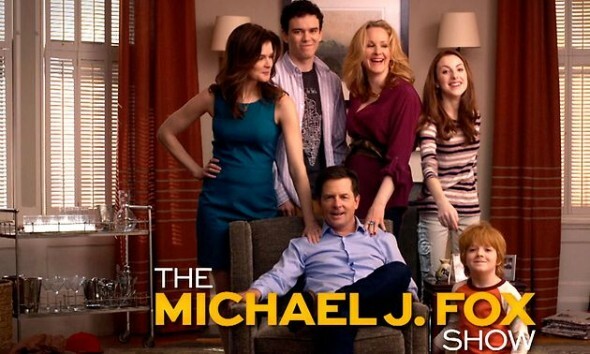 The Michael J Fox Show: Is His New Sitcom Worth Watching? Honestly it wasn’t funny. I couldn’t help but be sad every time I saw Michael. I’m glad he tried, but I was just too sad to watch. The show wasn’t very good and ratings lead to advertisers which leads to money. It’s a business. I love Michael, but the show sucked and it’s a business. It’s about ratings which equate to more advertisers. Grow up people it’s show business. You should be ashamed with yourselves. Teaching our kids it is ok to hide people with problems, no matter who they are. I hope there is a special place in hell for you!!!!!! I love MJF. But this show sucked rocks. Reminded me of “THE OFFICE” which is another show I hate. Bring Fox back in a different series with better writers. Nothing against the cast, the show was lame lame lame.